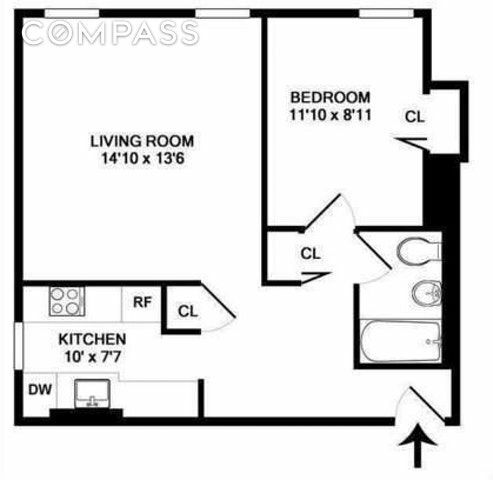 Great approx 700 square foot large one bedroom apartment with beautiful pre war charm! 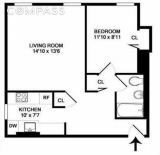 This apartment is a true one bedroom with a lovely foyer and an extra large living space that faces North and gets plenty of light. oakstrip flooring, a very large windowed kitchen with a new dishwasher and a fantastic skylight in the bothroom make this apartment truly unique. Its a great deal in a great neighborhood. Very close to the subways, gyms, and shopping. This is a nicely maintained coop building with a live-in super and a common courtyard. The application process is simple, No board process. No shares, no walls and only cats are allowed, no dogs. Thank you!.